Magic Leap & why humans still matter 👩🏽‍>🤖. Magic Leap One launched on 8/8/18 and I knew this because my son Nabeel announced this to me as I was drinking my morning cafecito ☕️. Nabeel had been checking the Magic Leap website every single day until he saw the simple word LAUNCH 🚀 on 8/8/18. 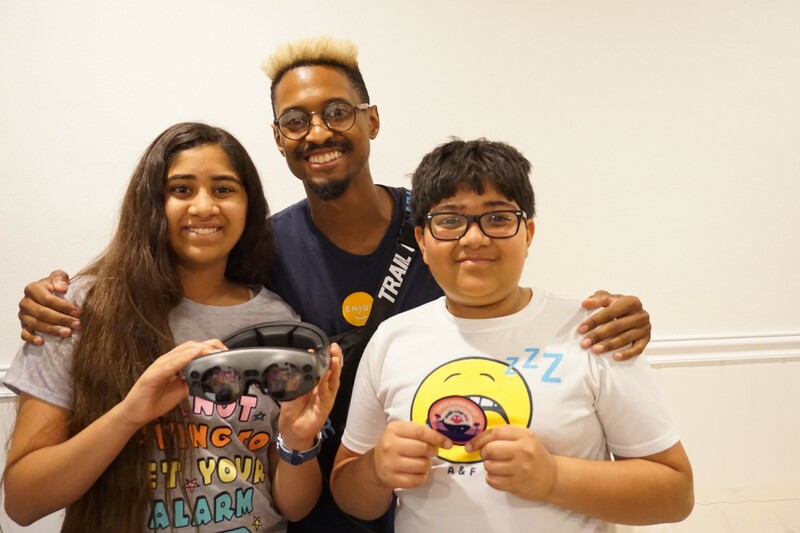 Both of our kids had been following the story of this South Florida company (Magic Leap) and how it was planning to revolutionize how humans and computers interact with each other. While our son watched YouTube video’s of Magic Leap founder Rony Abovitz (https://m.youtube.com/watch?v=w8J5BWL8oJY ) and his bold sci-fi vision, our daughter Rania dreamt of the possibilities of the platform in her all-girl Code/Art club. 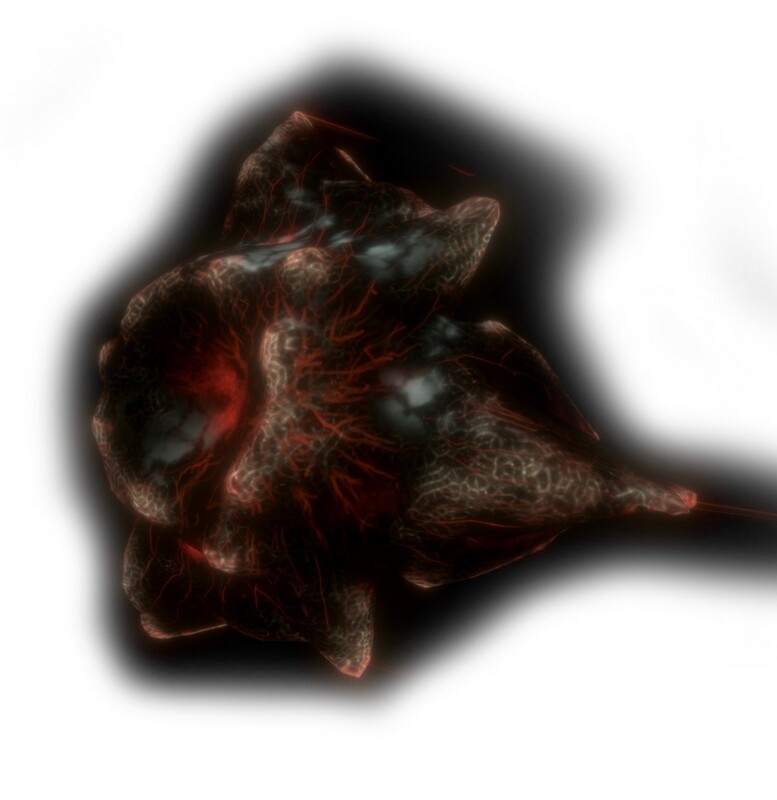 On the morning of 8/8/18 it was clear that Rony Abovitz’s vision of Magic Leap as a “a spatial computing system that brings digital content to life here in the real world with us.” was taking over the entire news cycle on launch day as the #1 trending topic on Twitter and just about every news outlet. Beyond the hype, I started to get a sense that this could be another consequential milestone in the human/machine journey. 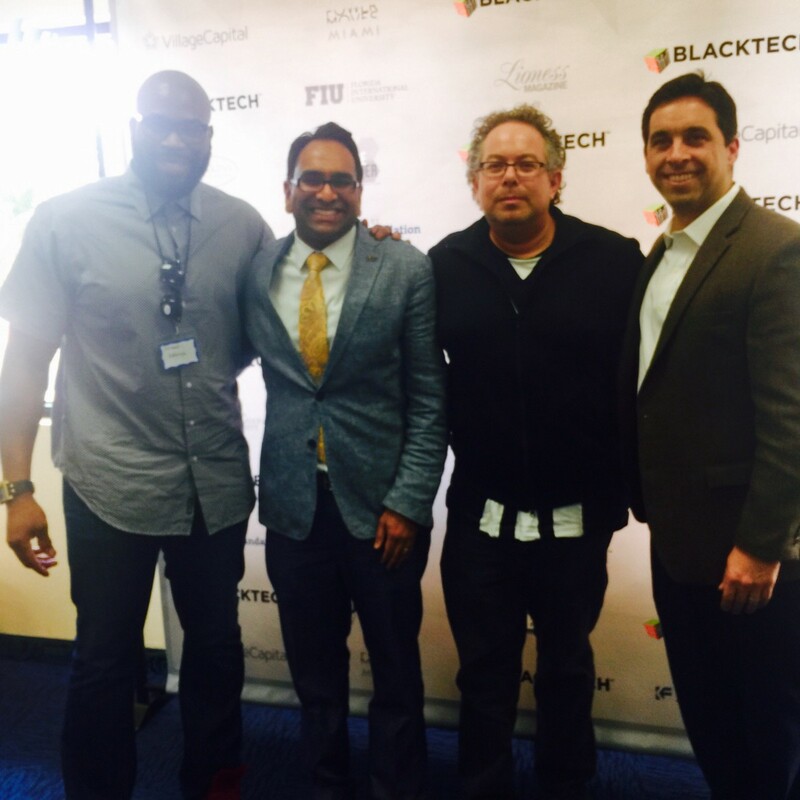 A notable part of the Magic Leap experience was the fact that the company had invested in a 2017 FIU College of Business graduate by the name of Steez Concepcion to help us set up the product. Steez’s bubbly manner and passion for people and technology was both exceptional and authentic. For Steez, the job with Magic Leap subcontractor Enjoy fit perfectly with his schedule as a musician with a rock band (Gut Check). Magic Leap and their partners understand the power of tapping into the gig economy as part of the #FutureOfWork. 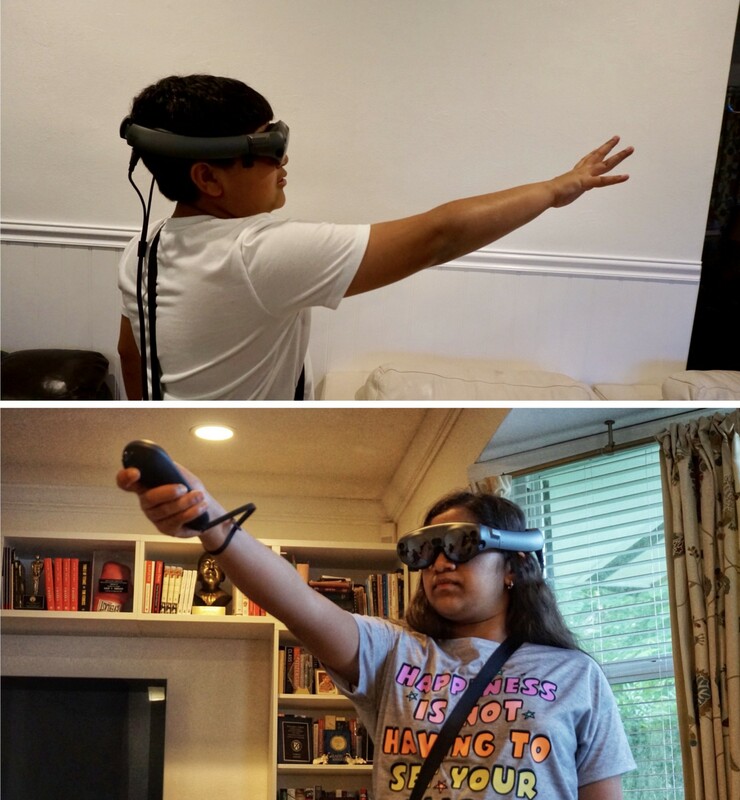 As Steez facilitated our Magic Leap experience, my kids were immersed in not only the technology but a human dialogue about all of the ways in which the MagicLeap platform could be used. There are a number of obvious conclusions that one can reach about Magic Leap, including the industries it will disrupt and reimagine (including Higher Ed). As I reflect on that first afternoon with the Magic Leap One, it ocurred to me that the whole experience felt like an alternate version of the Turing Test. The original Turing test, developed by Alan Turing in 1950, is a test of a machine’s ability to exhibit intelligent behavior equivalent to, or indistinguishable from, that of a human. 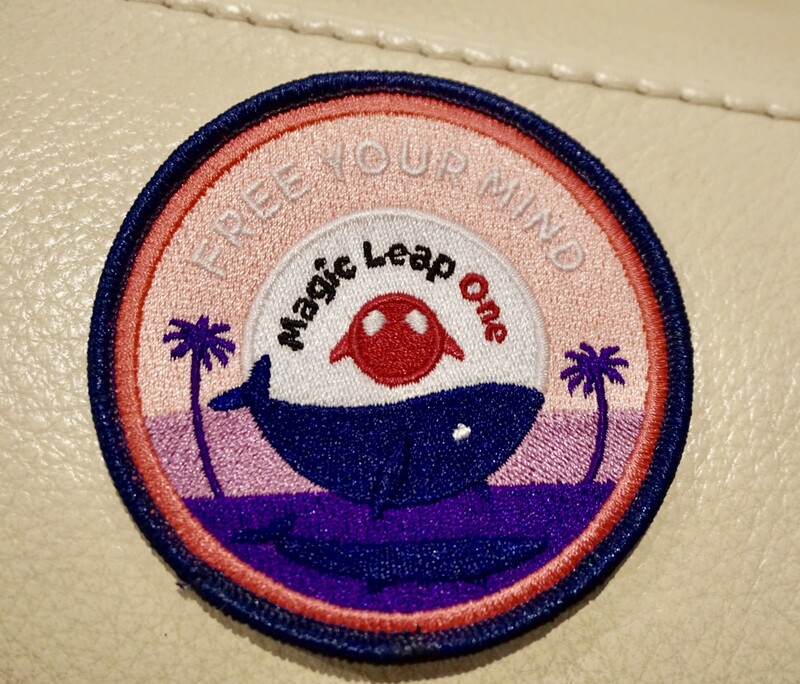 Magic Leap One felt like it is testing and enabling something more existential…can a human convince a machine that we are human and not just another machine? The deeper we go down the human/machine rabbit hole through platforms like Magic Leap, it is clear that the company with a Rocketship 🚀 for a logo sees humans 👩🏿‍💻 and not machines as the rocket fuel to shape our future.